Frizz Dismiss Sulfate-Free Shampoo provides smoothness and manageability while protecting hair from humidity for lasting frizz control. Frizz Dismiss FPF 20 Smooth Force lightweight smoothing lotion spray for fine to medium hair types in low to high humidity. 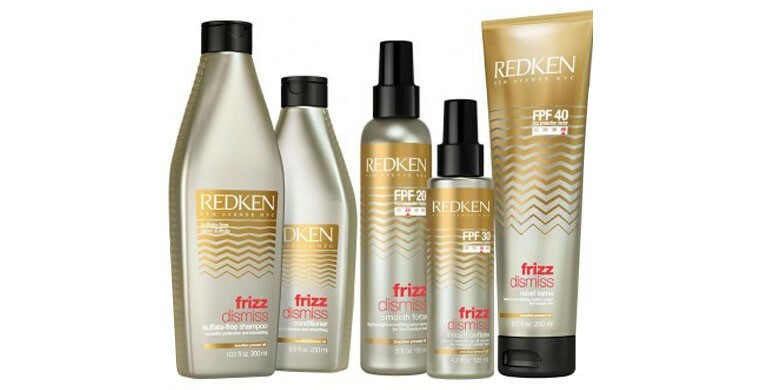 Frizz Dismiss FPF 30 Instant Deflate leave-in smoothing serum for medium to coarse hair types in low to high humidity.